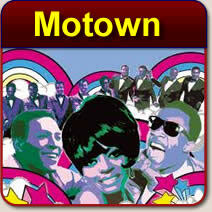 Motown Karaoke songs by the great Motown singing sensations. These Kareoke songs have among them Multiplex karaoke discs that allow you to practice your performances. Browse these categories under "Motown Karaoke Cds -"
Featured products under "Motown Karaoke Cds -"
World's Greatest, The - - Kelly, R.
These Motown Karaoke Songs cds of Motown Karaoke are Multiplex female Motown Songs. Each of the 9 songs has 2 tracks. One track has lead vocals on it to practice with, and the other track has no lead vocals on it for performing. Motown Karaoke Music CDG CDs Original Motown Hits by original artists! Aretha Franklin Soul/Pop Karaoke CDs Music Karaoke Disc SBI004 Female Pop And Soul Music Karaoke Songs.